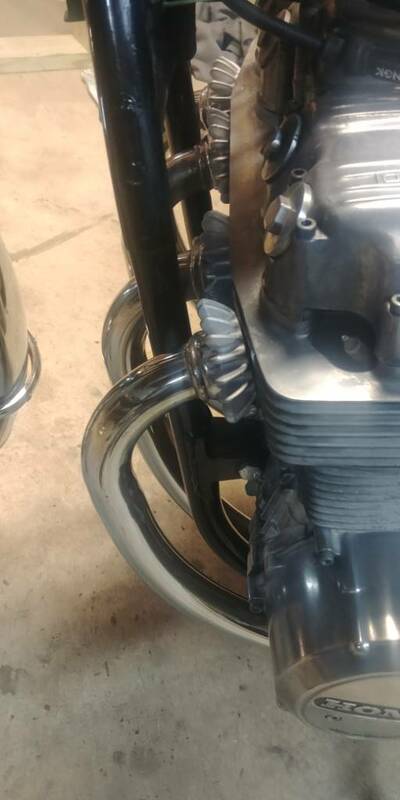 the exhaust collars were looking bad even after weeks in kerosene and being hit with different size and shape wire wheels. decided to go ahead and paint them with aluminum colored vht. the can says 1300 - 2000 degrees. is that even possible? anyone else had luck with vht paint on exhaust components? I used the VHT ceramic coat on some 350SBC headers shoe horned in an S10 engine swap way back. Lightly bead blasted then first, applied several coats, baked in wife's oven to cure. ( Wife's oven is another story). Worked very well but it had its own texture. Sean any vht clear that could help w that? if there is, I have not tried it. I am always using the flat black. 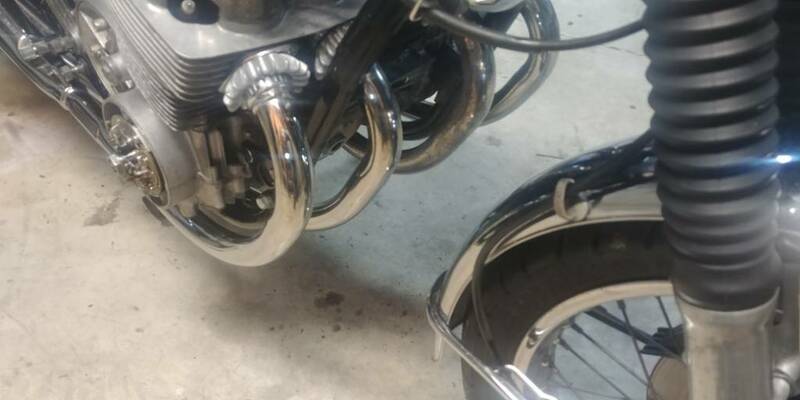 My best bud VHTed some Sportster pipes with the silver though, and it has held up for years. +1 on the Rusteloum paint! Their BBQ black semi gloss holds up well on exhaust and touch up is a breeze. Bob hows it hold up to rain? Anyone know how they hold up by throwing it in the zink electrolysis? Finally fitted the exhaust with the vht painted collars. I think it's an improvement. Not perfect but better. 2 and 3 headers are fairly pitted towards the motor but for now they will be fine. VHT brake caliper paint any good? xander i repainted my front caliper with straight gloss black. it hasn't faded or melted. granted i only put 80 miles or so on it before taking the motor out to fix some other stuff.